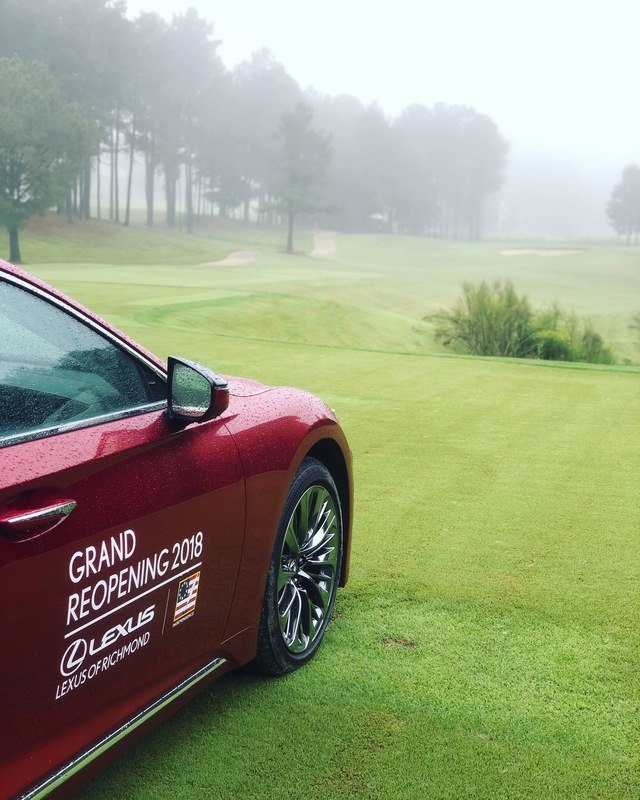 Lexus of Richmond’s Annual Champions for Charity Golf Tournament was held on Wednesday, September 12, at Independence Golf Club. Lucky the rain from Hurricane Florence held off, and we had a great day for golf! Everyone thoroughly enjoyed themselves on the course. Our morning round of golfers were competing for the opportunity to win a trip to Pebble Beach to play in their tournament, and the women were competing for the chance to win a trip to Boars Head Resort in Charlottesville. 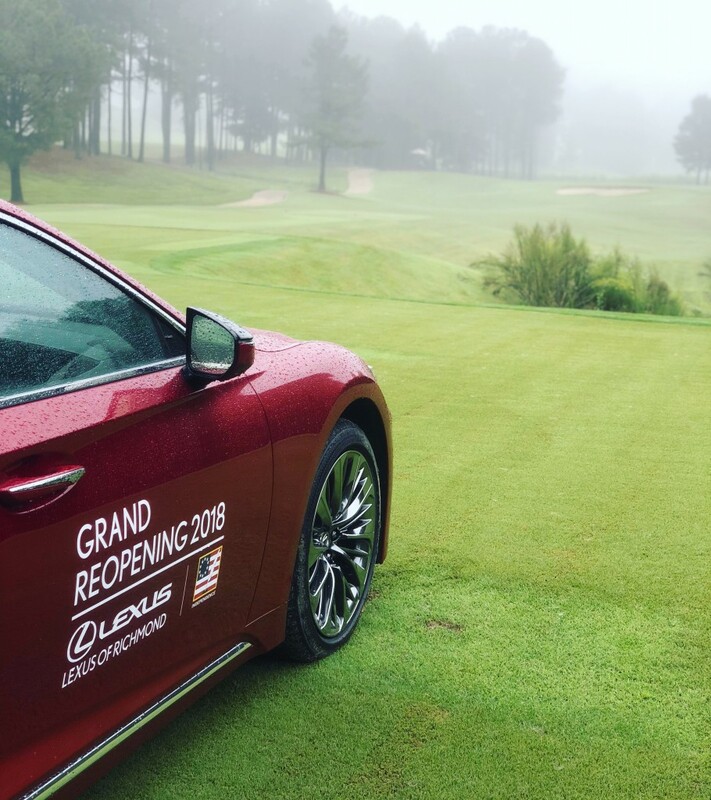 The course at Independence had 4 opportunities for hole-in-one with the prize being a paid for 2 year lease on a new Lexus! During the afternoon round, we had two Belle Isle tents set up on the course for our participants. The evening wrapped up with some snacks and refreshments during the award ceremony. All proceeds go towards Bon Secours Richmond Health Care Foundation, Care-A-Van mobile health program. 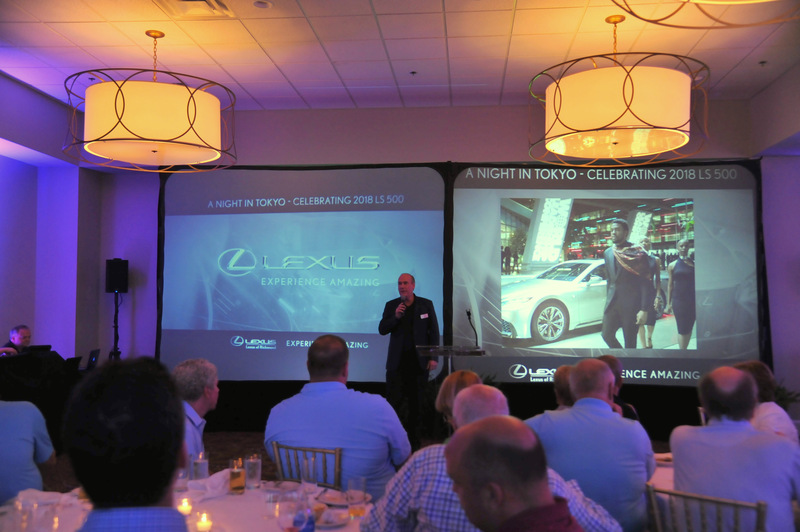 On Tuesday, June 12, Lexus of Richmond held our event “A Night In Tokyo” at Independence Golf Club. A Night In Tokyo was a celebration of all things Lexus. The evening was inspired by the Lexus and Japanese craftsmanship, perfection, and amazing experiences. Throughout the night, we had several vehicles on the lawn at Independence. There were several LS 500’s as well as a RX 350 and a ES 350. We were even lucky enough to have a structural blue LC 500. There were only 300 structural blue LCs put into production, so we were honored to have one at Lexus of Richmond and our event. To learn more about the structural blue LC, watch this video! 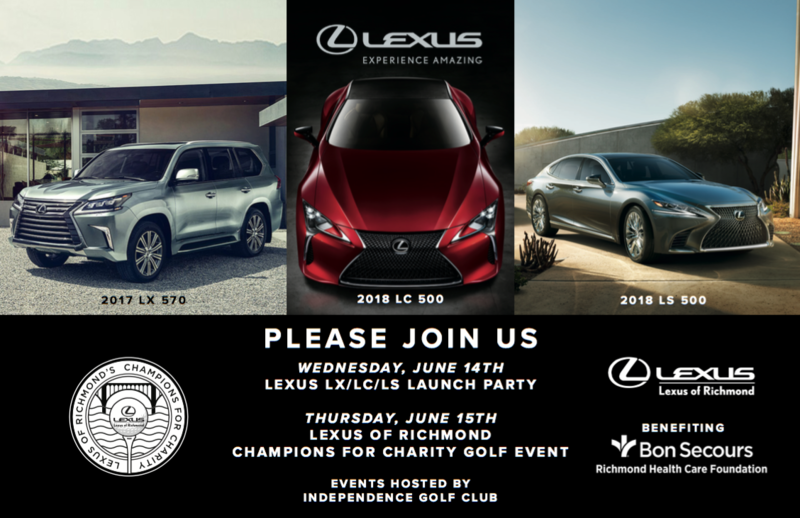 Lexus of Richmond is proud to present our Annual Champions for Charity Golf Tournament to be held on June 14 and 15 at Independence Gold Club! On Wednesday the 14th, tournament players will join us at 5:30PM for a pairing party. Immediately after at 6PM, we will Experience Amazing as we hold our Lexus of Richmond Launch Party for the LC/LS/LX models. On Thursday the 15th, we will host our day long golf tournament. At 8AM, our Independence Flight will begin for a casual, fun round. Then the Pine Needles and Pebble Beach Flights will begin at 1:30PM. Pine Needles players will be playing for a chance to win a trip to the Pine Needles Golf Resort in Pine Needles, North Carolina. Pebble Beach players will be playing for a spot in the National Lexus Champions for Charity event at the Pebble Beach Resort in Pebble Beach, California. Proceeds from the two-day event will benefit RVA’s East End with the Sarah Garland Jones Center – Bon Secours. To learn more information, please click here. To register for the golf tournament, please click here. Join us at Independence Golf Club on June 15 & 16, 2016, as we present the Champions For Charity Golf Tournament! Help us support The Bon Secours Richmond East End Children’s Fund, while enjoying a nice day on the course. The top two finishers will win a trip to Pebble Beach for the 54 hole National Lexus Golf Tournament. While at the tournament, if they place in the top 10, they will have the opportunity to bring back additional funds to the Bon Secours Richmond East End Children’s Fund. The money raised during the Champions For Charity Golf Tournament will go to help Bon Secours grow their established initiatives, such as the class-a-role. The class-a-role is a mobile kitchen where children in the community learn how to cook various food. This teaches kids how to prepare food in an easy and fun way and to promote a healthy lifestyle. If you can not attend the tournament but would still like to donate, please click here to help this worthy cause. 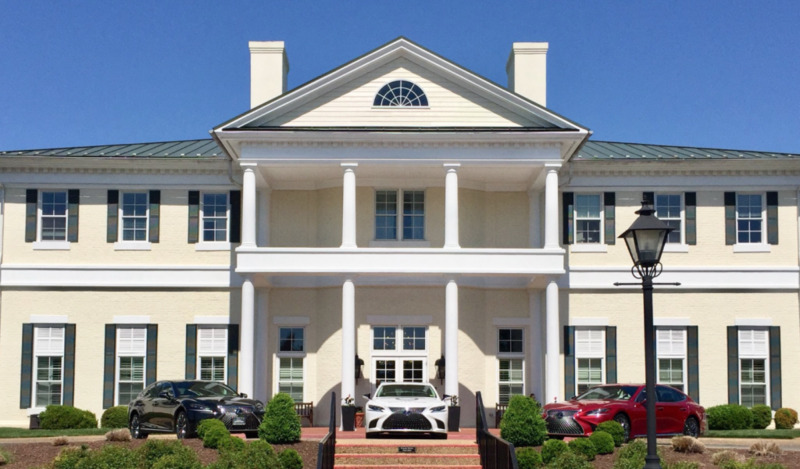 Lexus of Richmond and Independence Golf Club partnered with Fox Richmond to present “Pursuing Perfection Together,” a thirty minute TV special that will air on Fox Richmond Saturday June 20th at 1:30 PM and Sunday June 21st at 1:30 PM. There will also be an article in the Friday Richmond Times Dispatch, in the Richmond Drives section. Tune into the radio show Hardly Workin’ with Greg Burton at 3-6 PM to hear radio interviews about this event as well. The TV special not only discusses the partnership, but how that partnership benefits our customers and other organizations in the community. 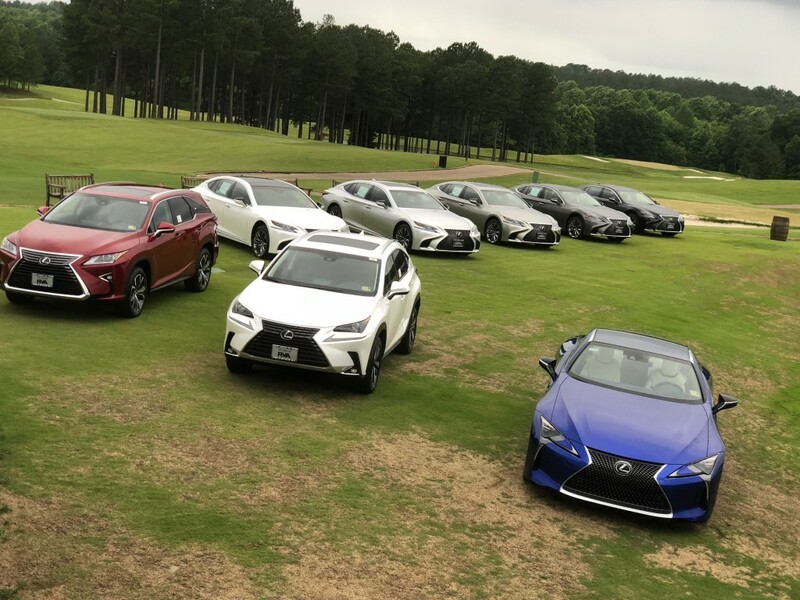 Hosted by ESPN 950 Radio’s Greg Burton, the show gives us interviews with Lexus of Richmond’s General Manager Tom Flood, Owner of Independence Golf Club Giff Breed, Director of the Robins Jr. Golf Program Leighann Albaugh PGA, and Eddie Swink from the Fore Children foundation. We will also have guests from Belle Isle Craft Spirits and Devil’s Backbone Brewing Company.